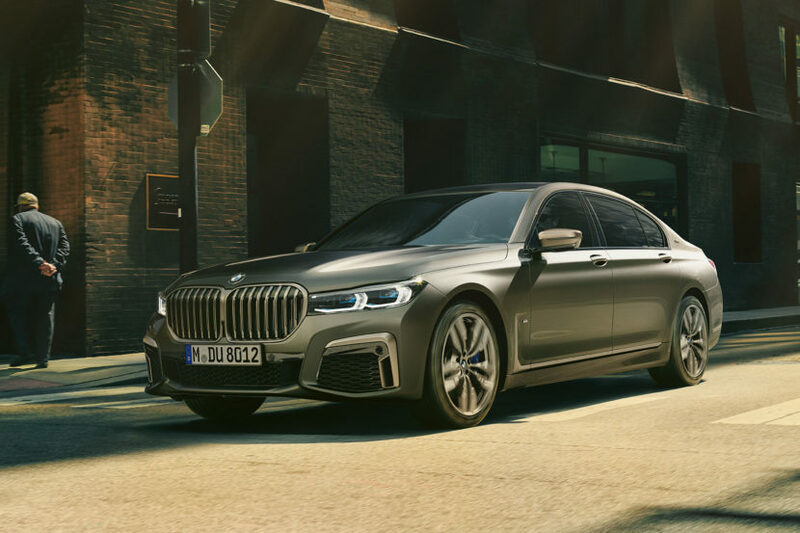 The unveil of the new 2019 BMW 7 Series Facelift brought an extensive photo gallery which mostly focused on the 750i model. 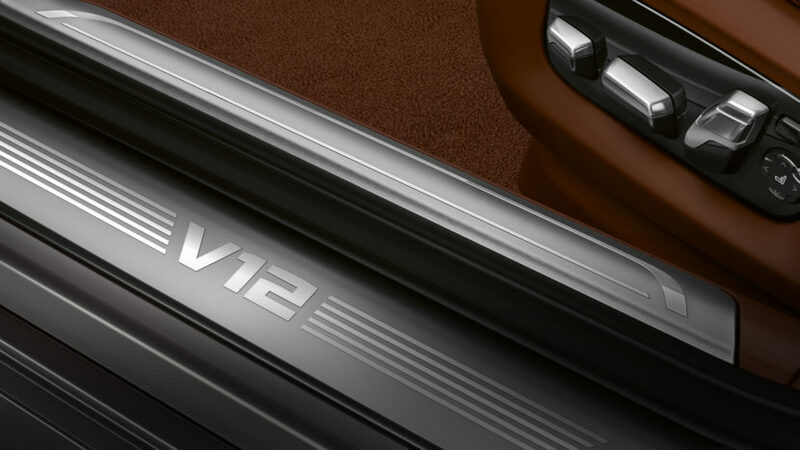 While the V8-powered limousine is one of the top selling 7 Series, the crown jewel is the M760Li – the only V12 model still produced by BMW. The big dog 7 Series is the M760i xDrive, which packs a 6.6 liter twin-turbo V12 that produces a monstrous 600 hp and 627 lb-ft of torque. That’s enough to catapult the M760i from 0-60 mph in a flash, doing it in just 3.6 seconds. 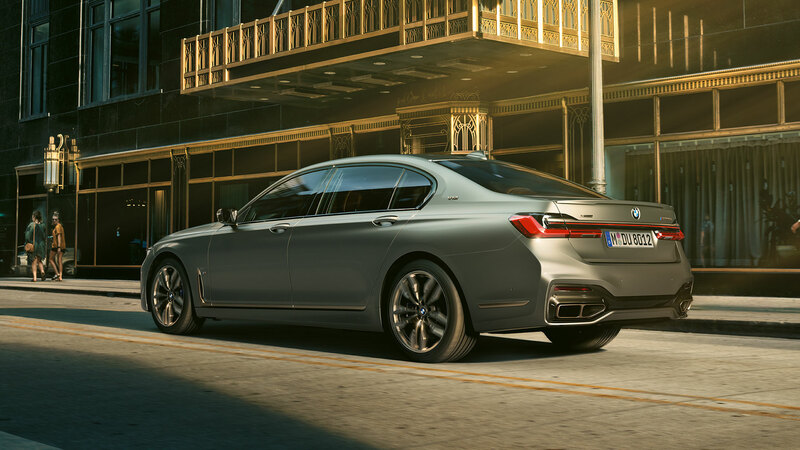 The top speed of the new BMW M760Li xDrive is electronically limited to 250 km/h (155 mph), which is increased to 305 km/h (190 mph) if the optional M Driver’s Package is selected. The new BMW M760Li xDrive posts combined fuel consumption of 12.5 – 12.4 liters per 100 kilometers. The new BMW M760Li xDrive are now equipped with a gasoline particulate filter. The system of emission control for the diesel models employs BMW BluePerformance technology including a particulate filter, an oxidation catalyst, a NOx adsorption catalyst and an SCR catalyst with AdBlue injection to reduce nitrogen oxide emissions. 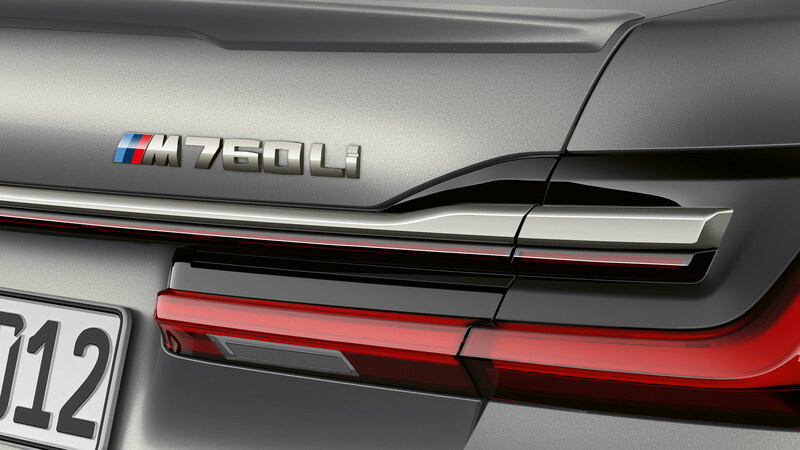 Thus equipped, all model variants of the new BMW 7 Series meet the requirements of the Euro 6d-TEMP emissions standard. Until today, the M760Li images were limited to the BMW online configurators. The image gallery below gives us an early look at what the M760Li looks like in a “normal” setting. Visually, the new BMW M760Li xDrive stands out with the kidney grille surround and kidney grille bars in Cerium Grey. The BMW M760Li also comes with a bespoke interior design. In addition to the M leather steering wheel, the BMW Individual headliner in Anthracite, the M pedals, the M driver’s footrest and the comfort seats upholstered in Exclusive Nappa leather with extended appointments, this 12-cylinder model is equipped as standard with Fineline Black fine wood interior trim strips with high-gloss metal effect, a digitally generated model badge in the instrument cluster, an insert in the center console in Piano Finish Black and illuminated door sill plates bearing the inscription “V12”. 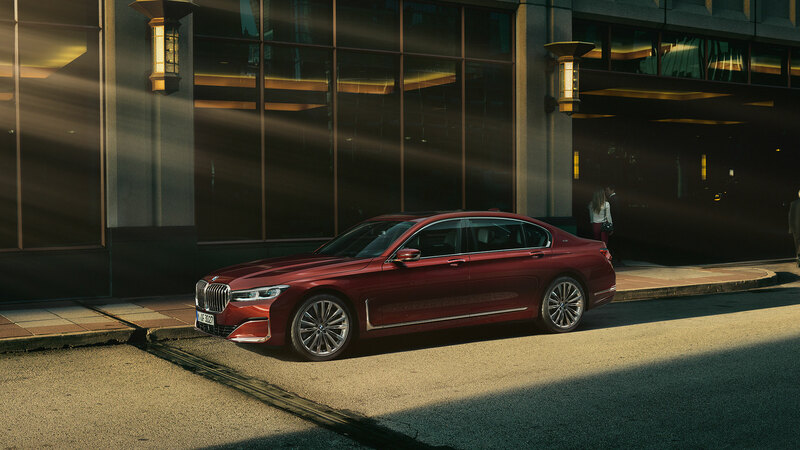 The new BMW M760Li xDrive V12 Excellence underlines its exclusive status with features such as Fineline high-gloss fine wood interior trim strips and a leather steering wheel with wood applications. The other 7 Series Facelift model shown below is perfected by BMW Individual. Customers can also choose from four selected BMW Individual paint options, including the new shades Dravit Grey metallic, Tanzanite Blue II metallic and Aventurin Red metallic which replace outgoing Ruby Black metallic, Moonstone Metallic and Almandine Brown metallic. Azurite Black metallic joins the new Individual paints as a carry-over. 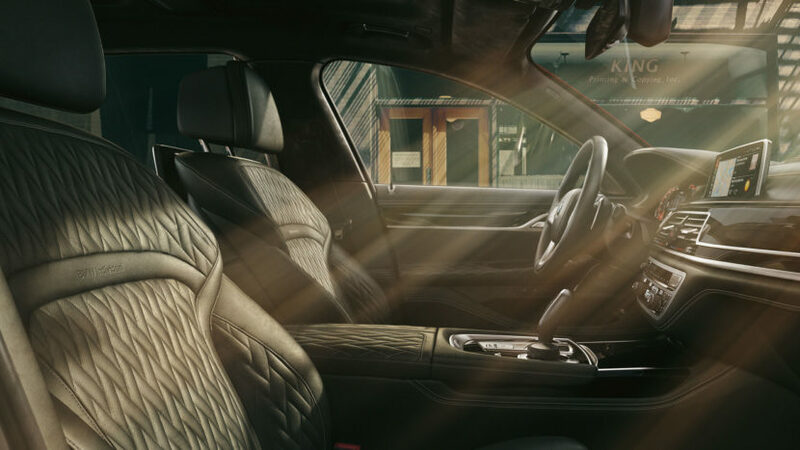 Inside the 7 Series Individual, BMW included fine-grain Merino full leather trim – which is available in six colors and features not only extended quilting but also contrast stitching and piping – uses materials of the very finest quality. The door shoulders, the upper part of the instrument panel and the lower part of the door linings are finished in fulled leather with this option. US customers will have the chance to order the new M760Li xDrive and the BMW Individual offerings starting April 2019.